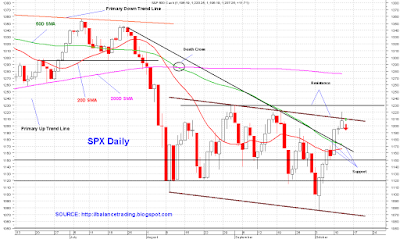 ..... Balance Trading .....: Is Current Bear Market Rally About Done? Per my plan I closed all my long positions today. Expect for SPX, all four other major indices have now broken out and closed above their recent trading range. The bulls are now ready to take charge and lead indices higher, but there are no sectors leading the way. That lack of leadership is a telltale sign that the recent sharp rally (started on 10/4) is a bear market rally and very likely would be short lived. 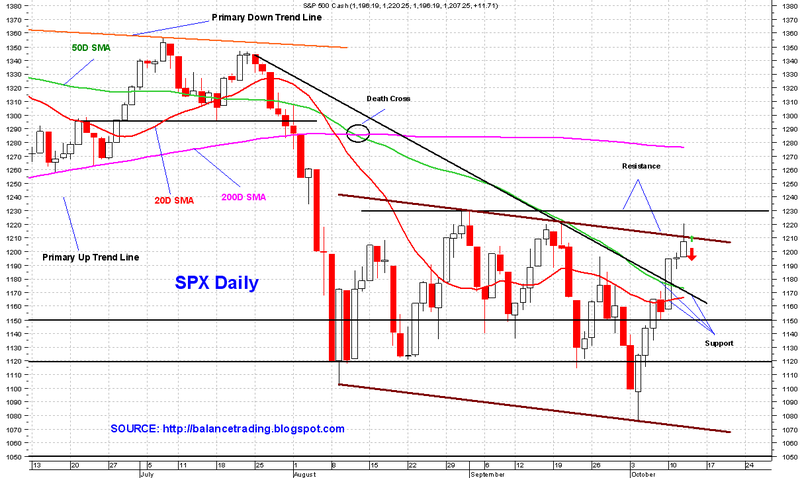 Indices are over bought and they very likely will sell off to back test their 50D SMA sometime this week.